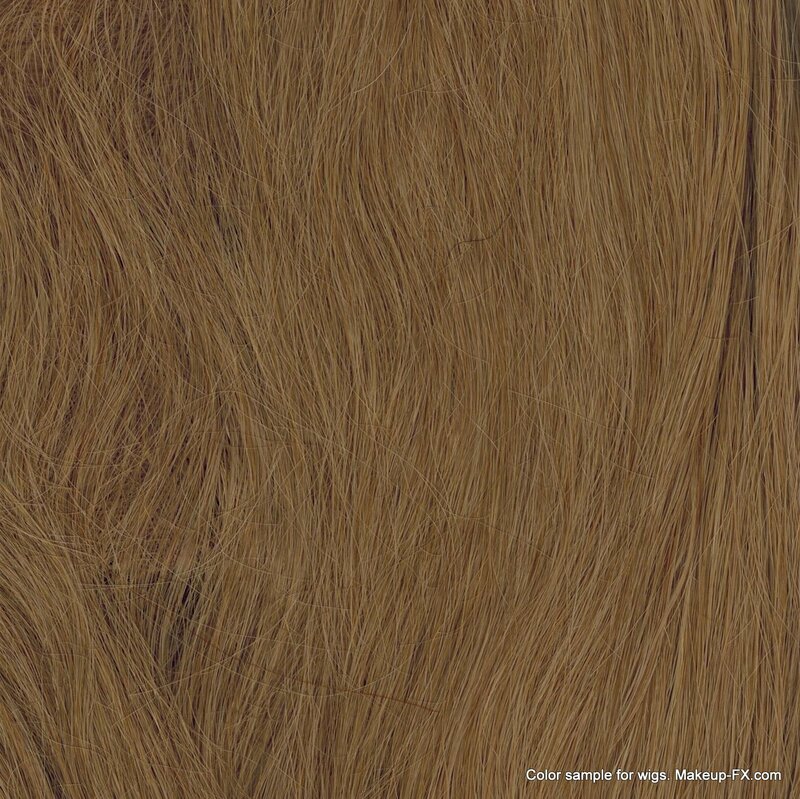 Please note that these pictures have been scanned from the actual wigs and facial pieces but the colors might look inaccurate on your computer screen and should therefore only be used as a rough guide. 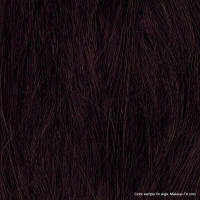 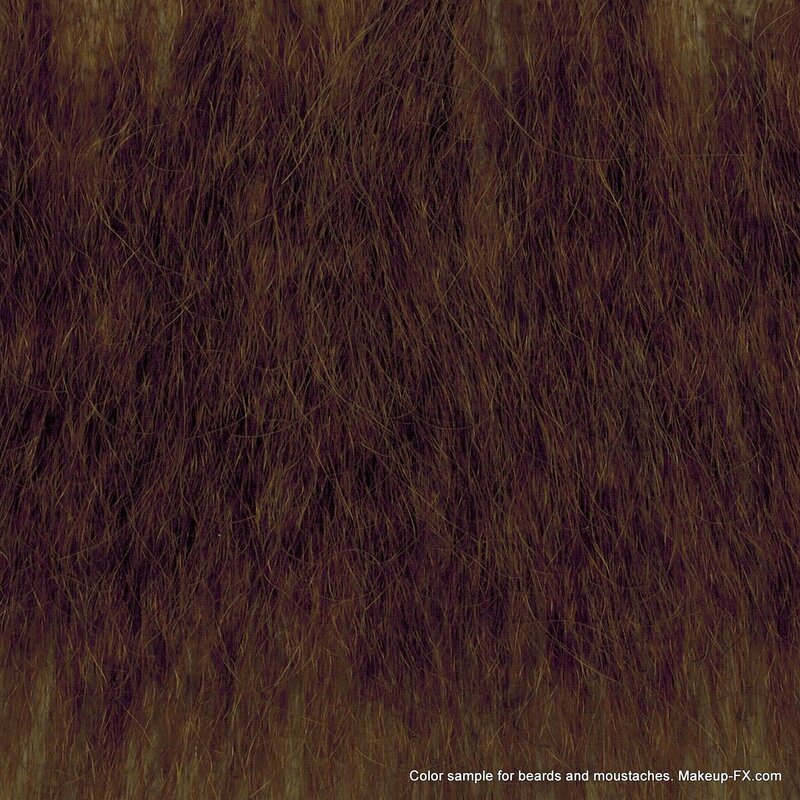 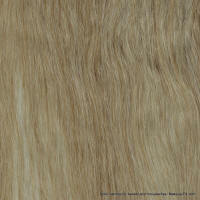 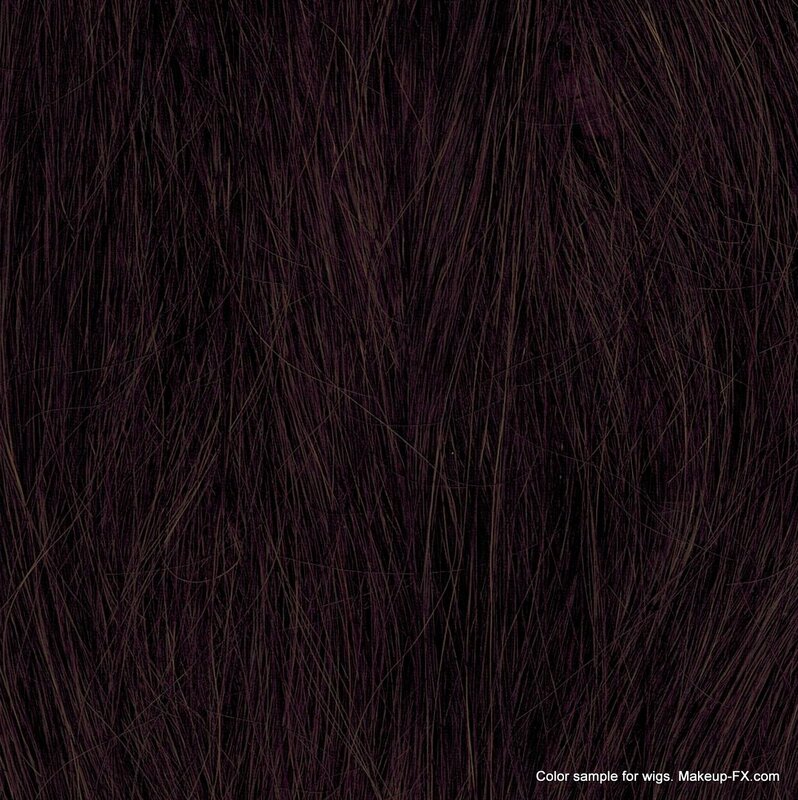 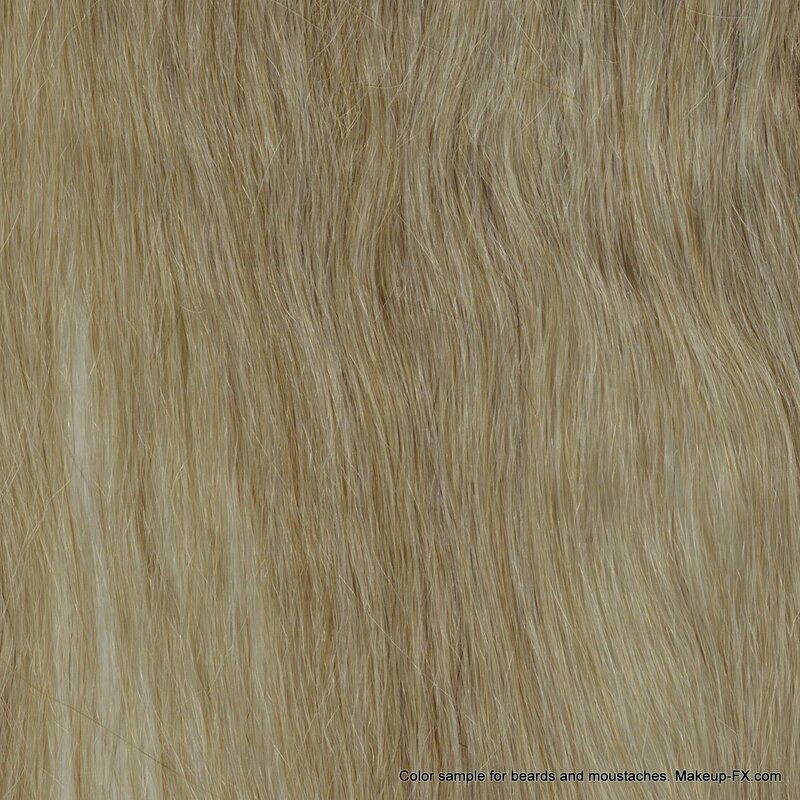 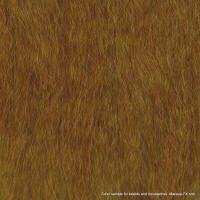 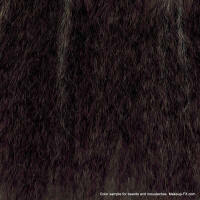 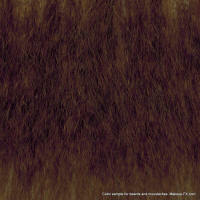 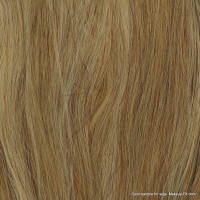 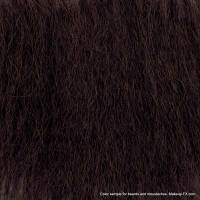 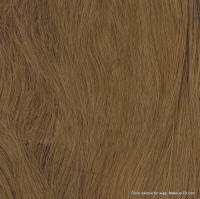 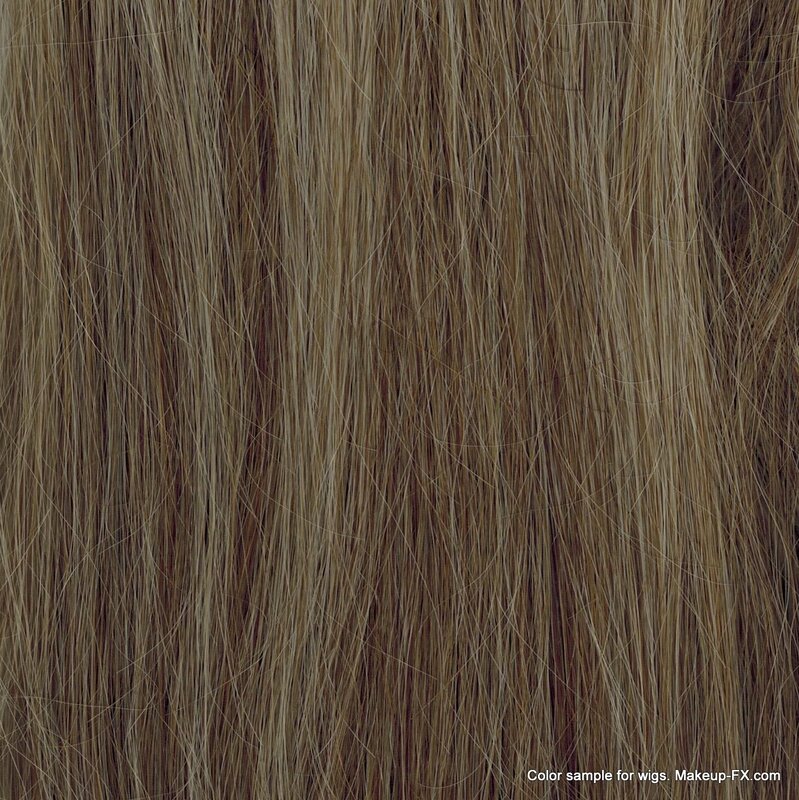 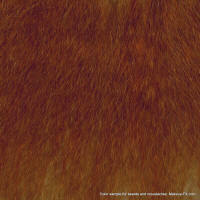 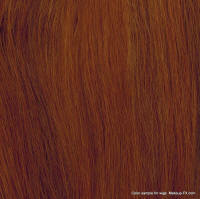 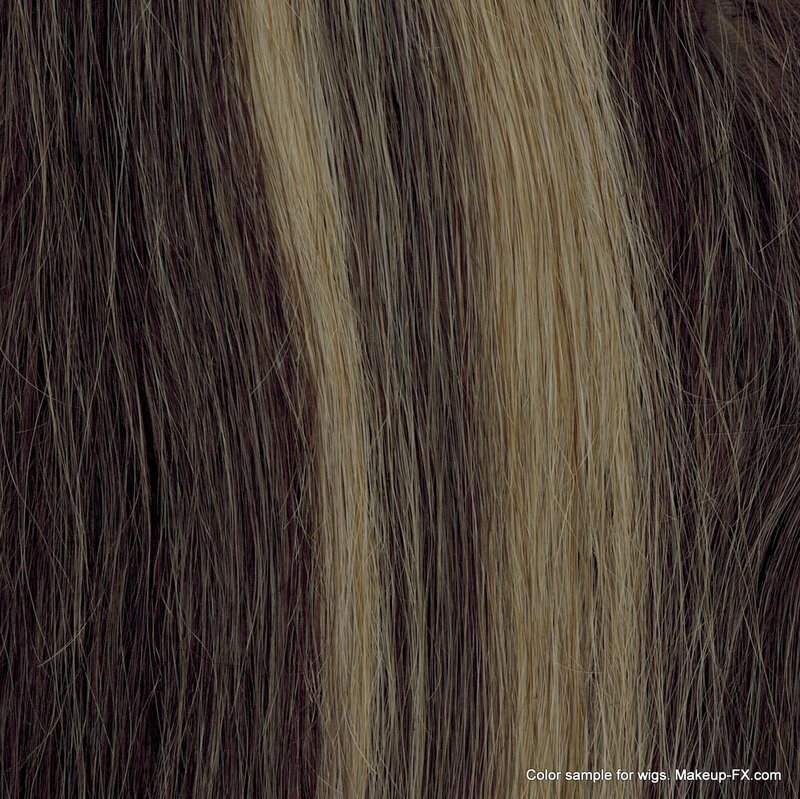 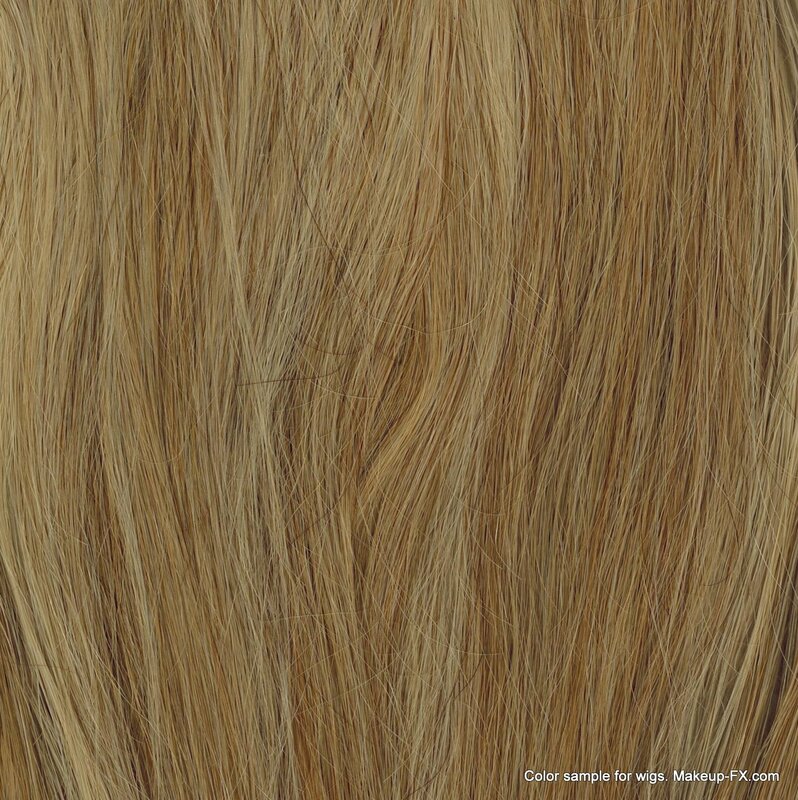 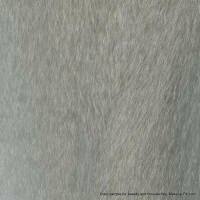 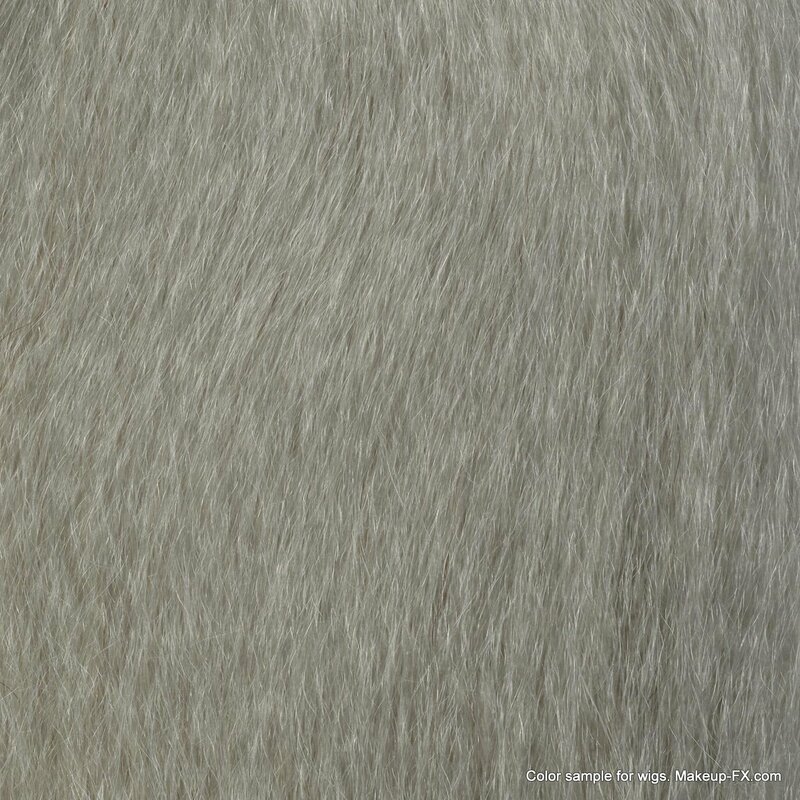 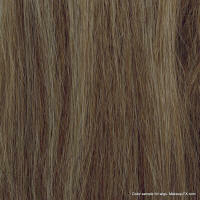 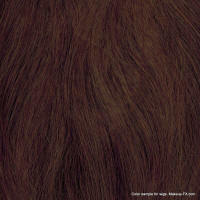 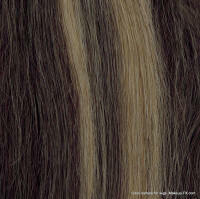 When ordering a custom wig or other hair piece you can specify the thickness of the knotting. 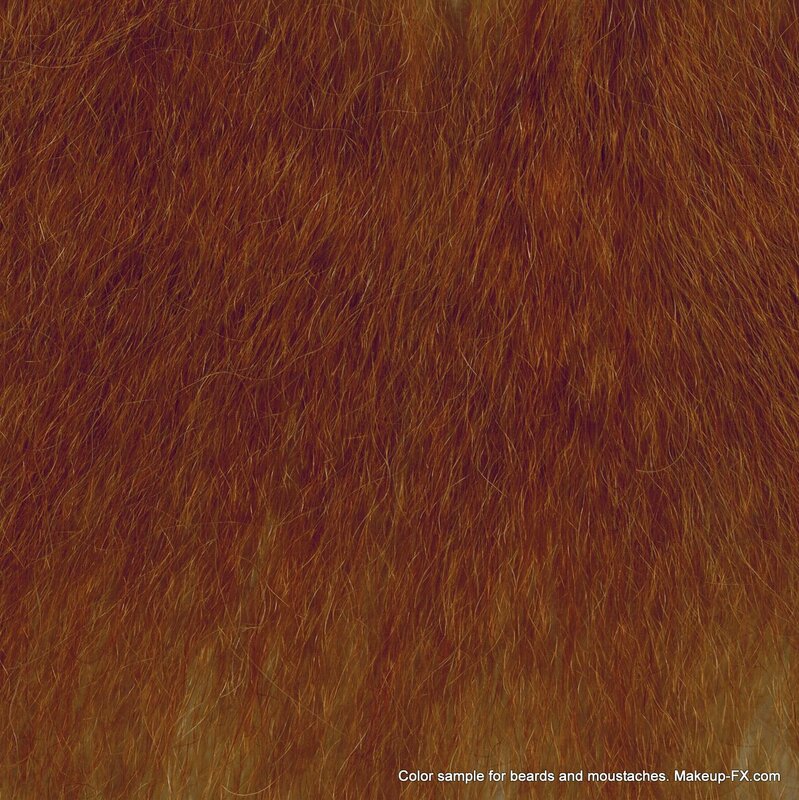 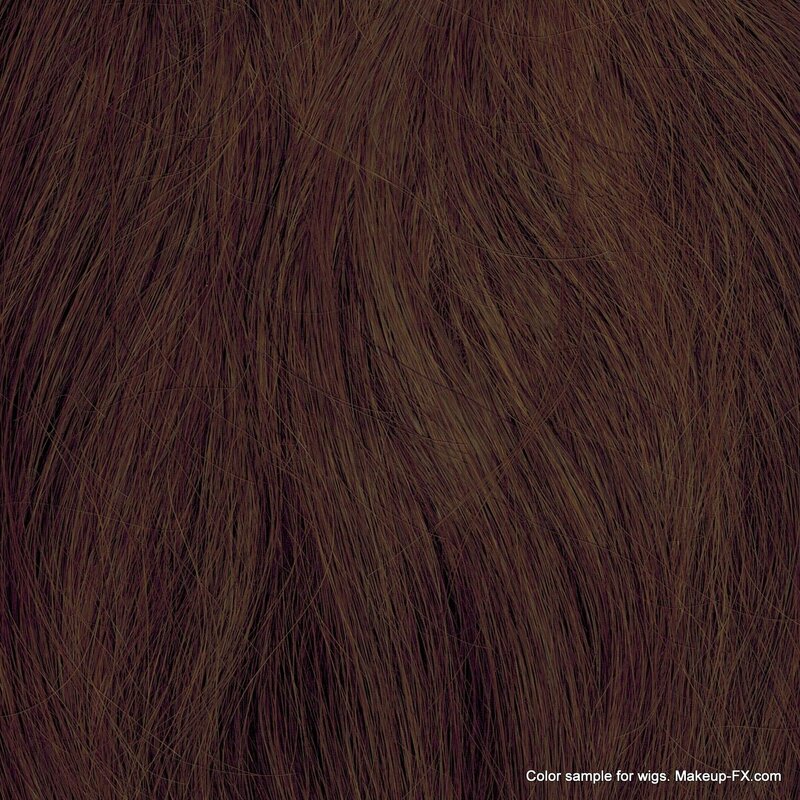 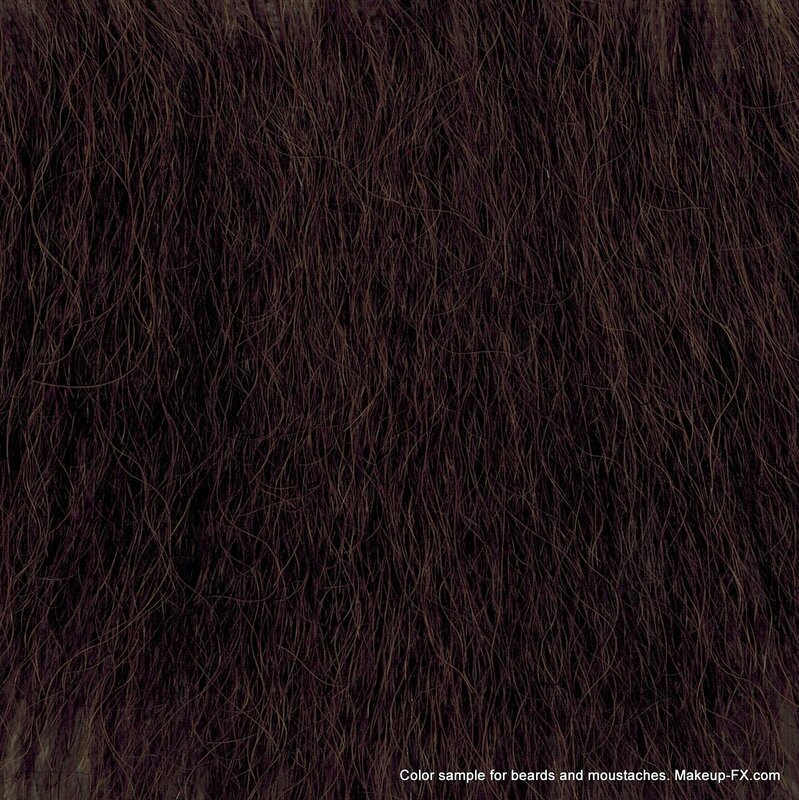 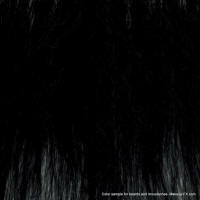 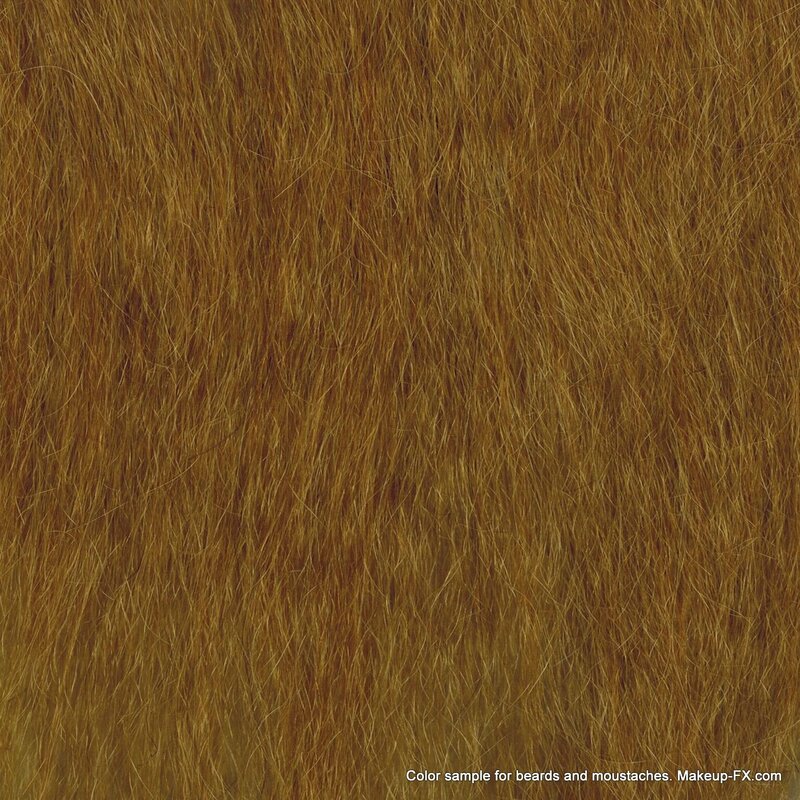 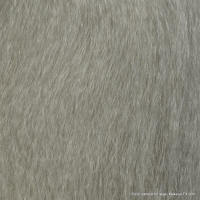 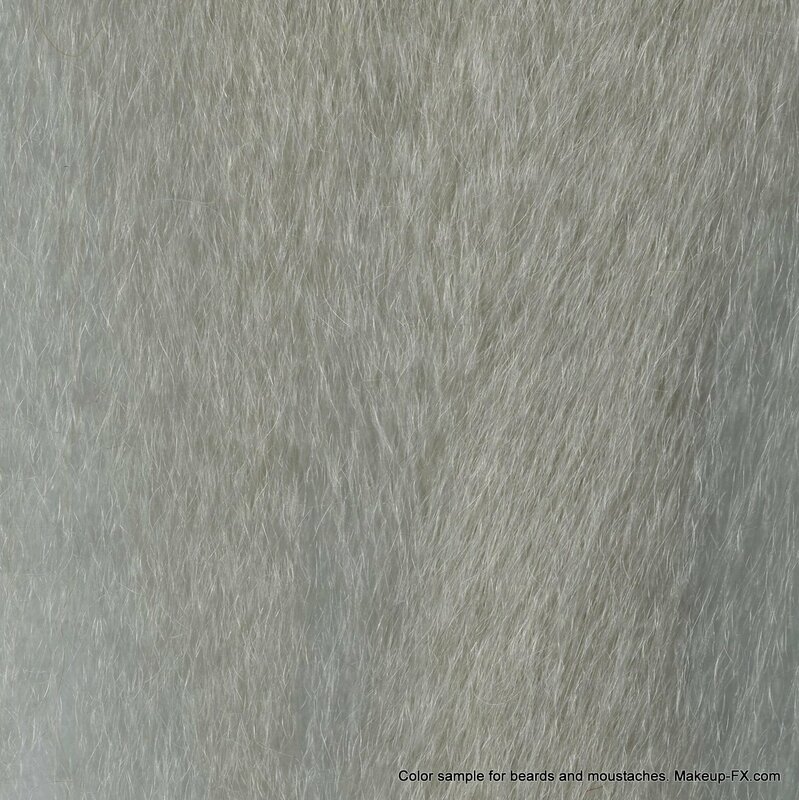 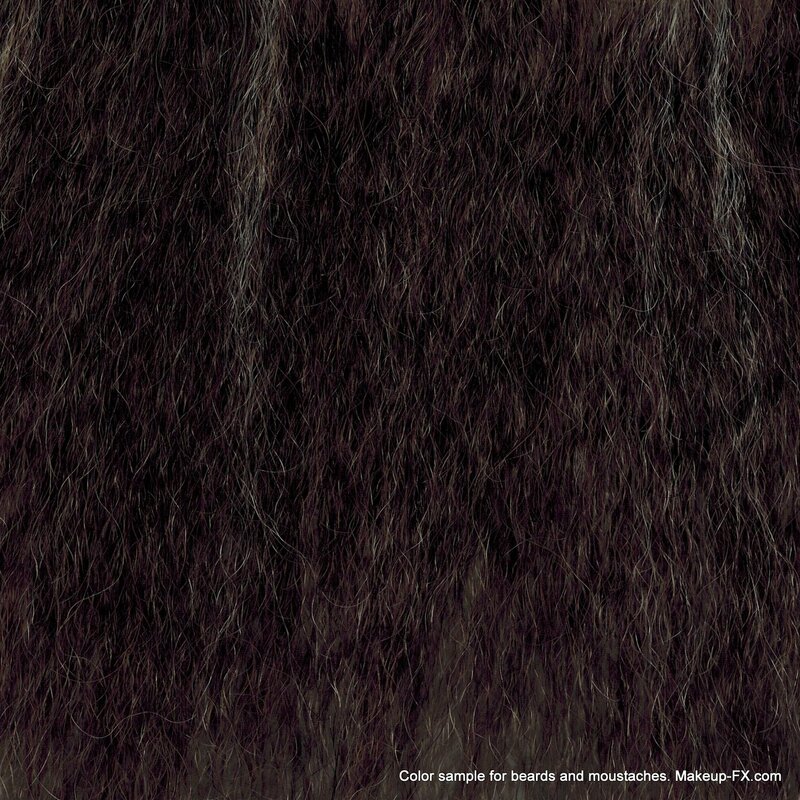 This is a sample guide that we lend out to you before you order a custom wig. 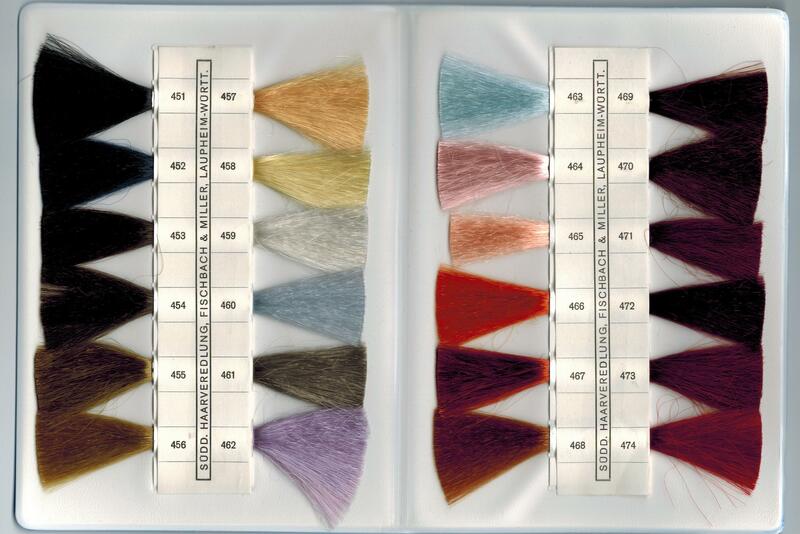 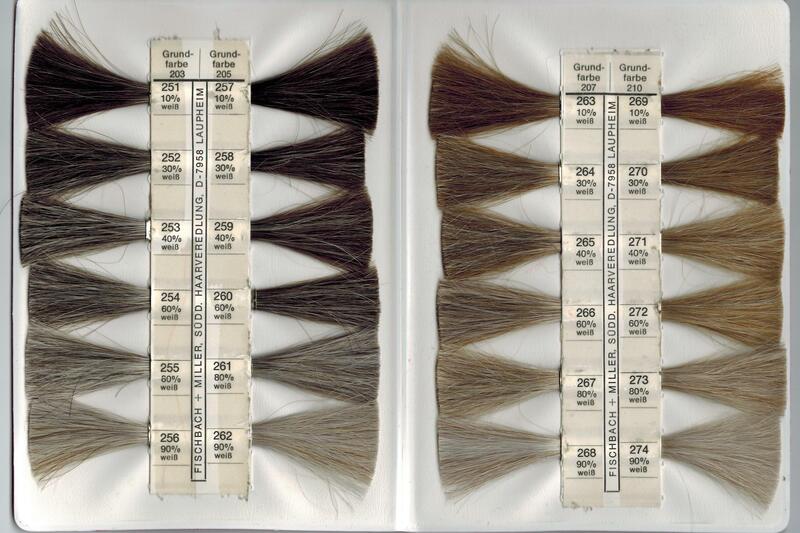 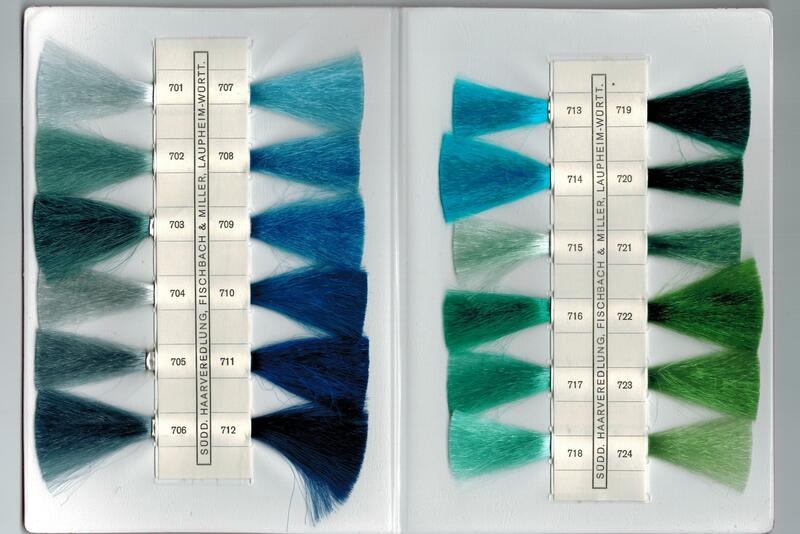 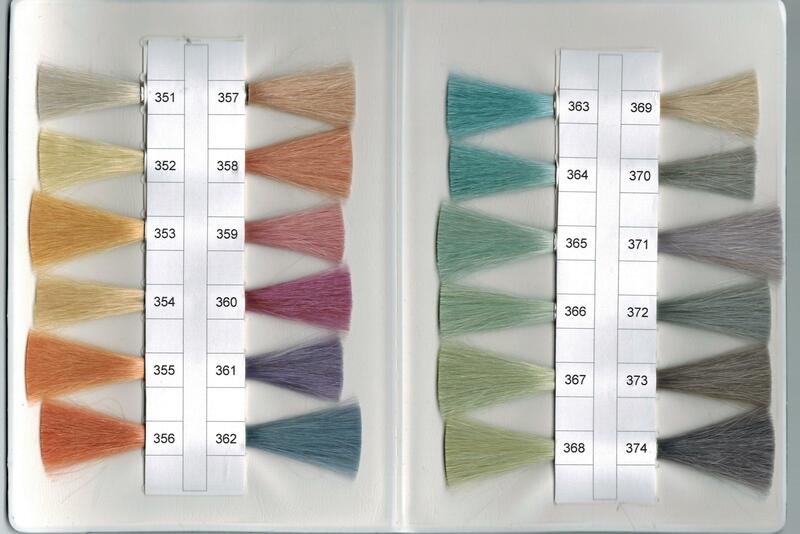 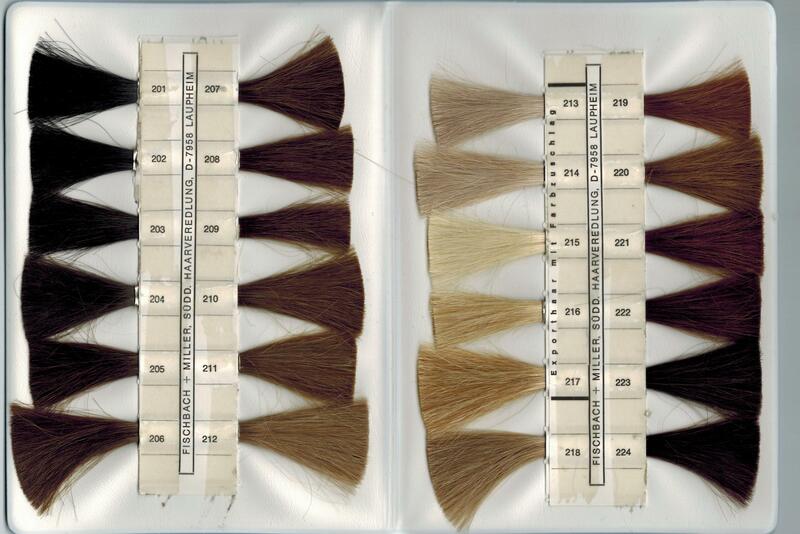 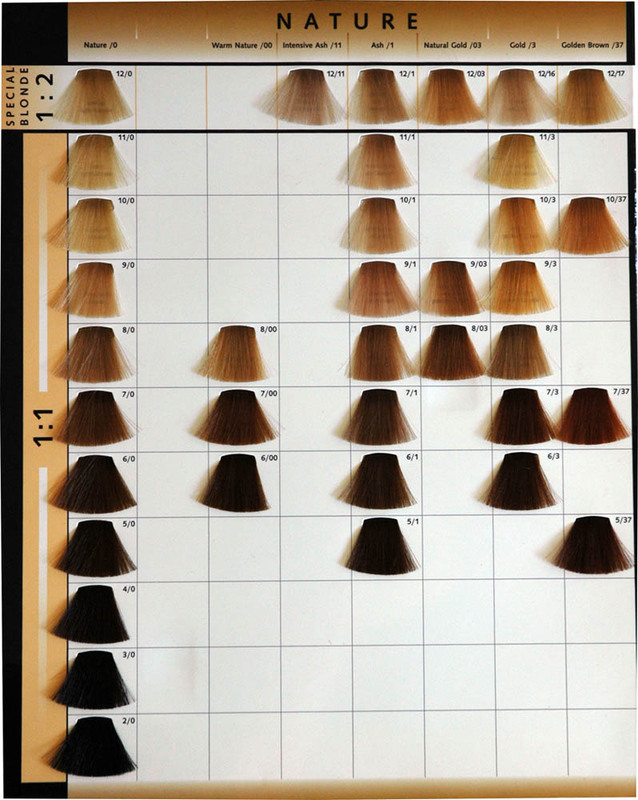 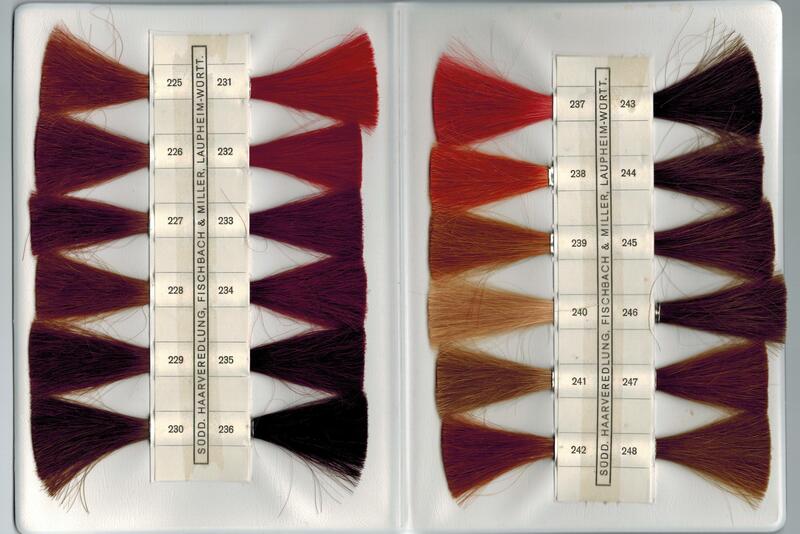 For customers who have the Fischbach + Millers hair color books we are happy to discuss color with the help of them. 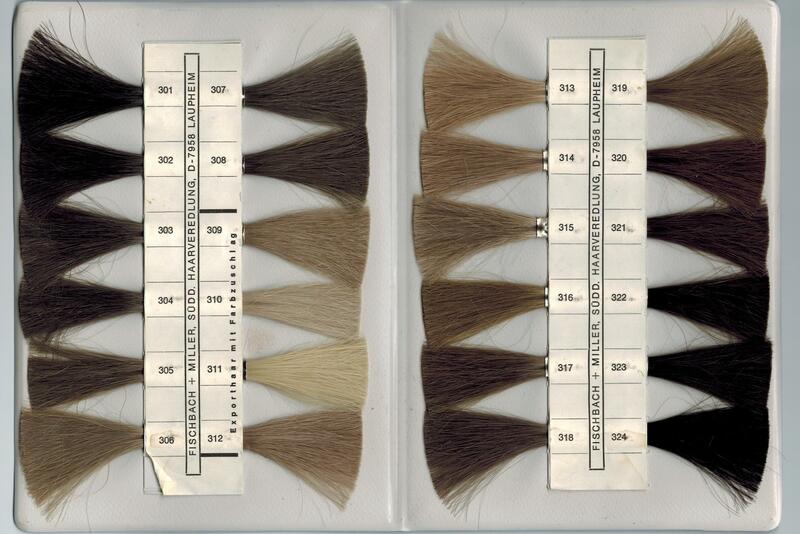 The scans below are not color accurate when shown on your screen. 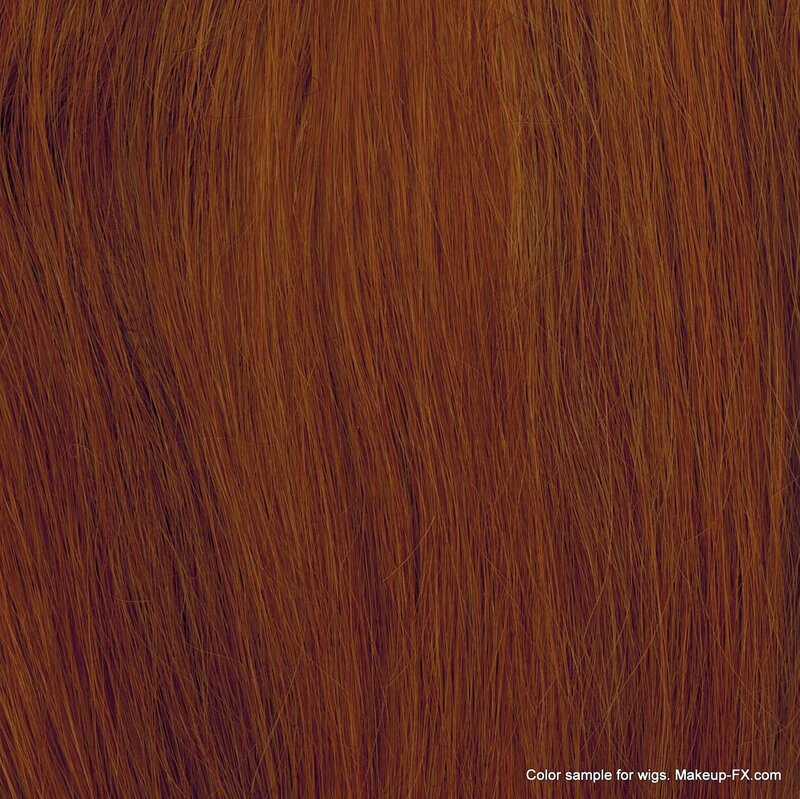 We only show them here for reference together with your original books from F+M. 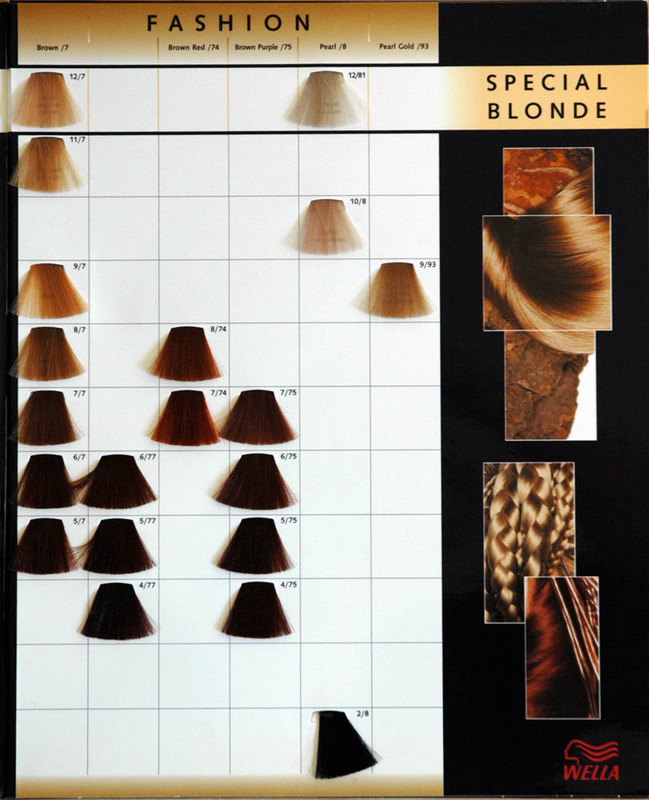 We do recommend this company strongly for all your hair supplies! 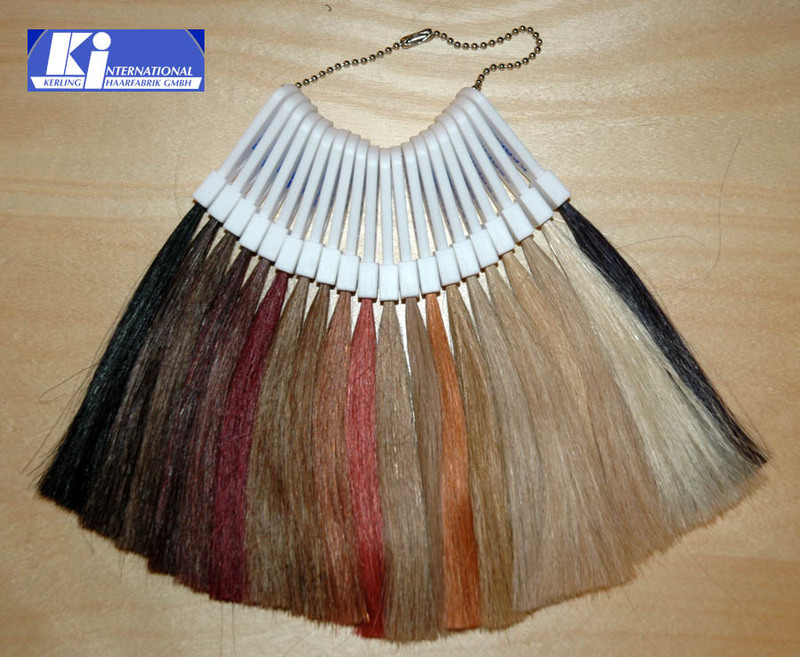 For customers who have the Kerling color ring we are also happy to discuss color with the help of them too. 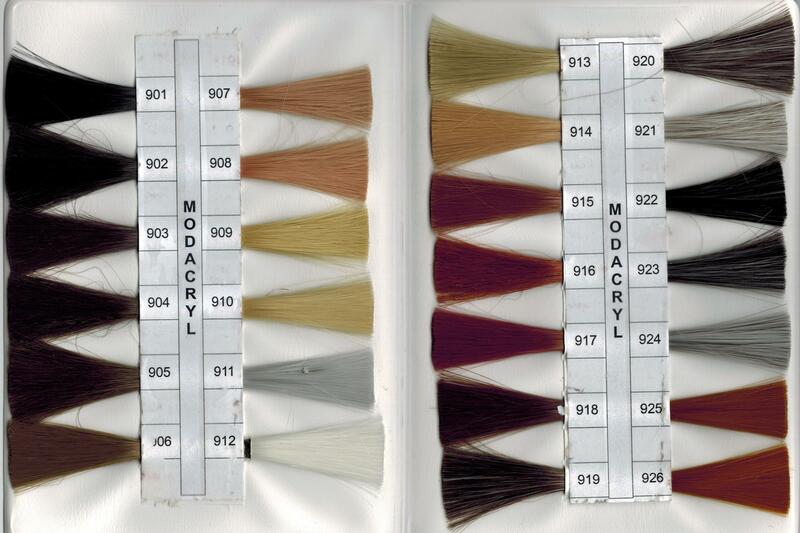 You can not choose a color from these pictures. 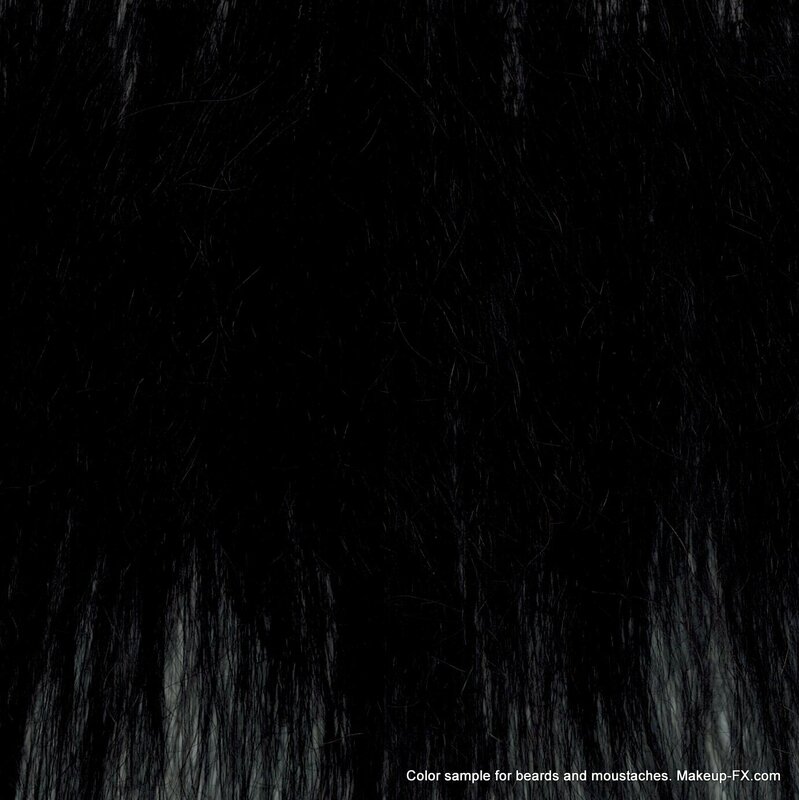 They are only shown to show you what we have to discuss color with. 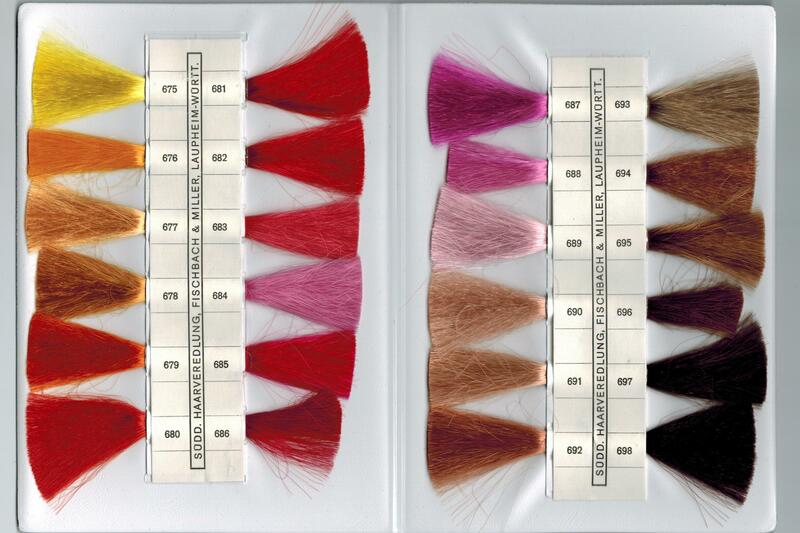 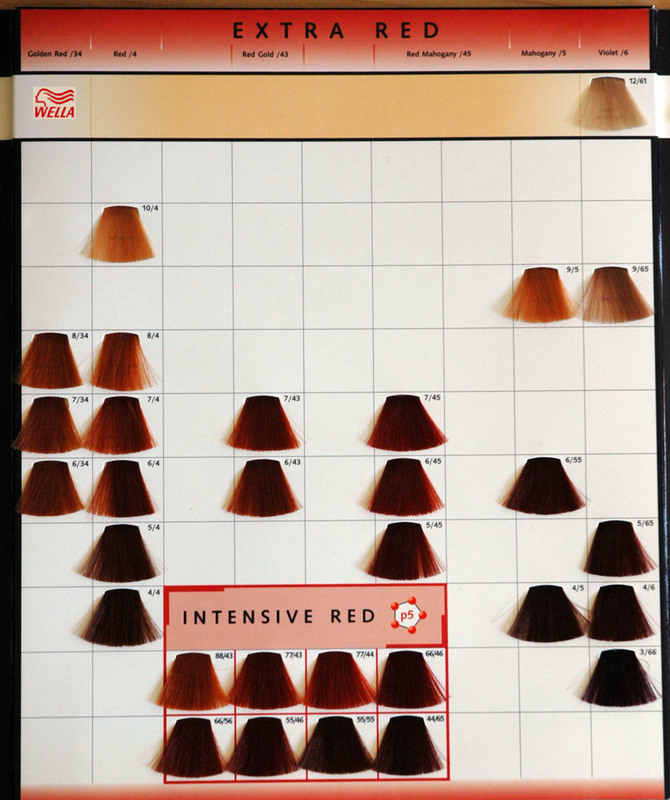 For customers who have the Wella hair color book we can discuss color with that one.